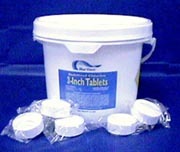 Pool Chlorine High Density Tabs - 25 Lbs. Keep your pool crystal clear with Chlorine tabs. 25Lb. 5 In 1 Pool Chlorine High Density Tabs - 40 Lbs. Chlorine Tabs with built in Sanitizer, Clarifier, Stain Inhibitor, De-Scaler and Algaecide - all in one! 40Lb. The ideal way to make relaxing in a hot tub or bath tub even more comfortable! Made of soft vinyl coated foam. Get all the chemicals needed to properly open your pool for the season - all in one convenient kit. Chemical packages are specially formulated to keep your pool and equipment in top condition all year long! Powerful shock treatment. Quick-dissolving formula. 6Lb. 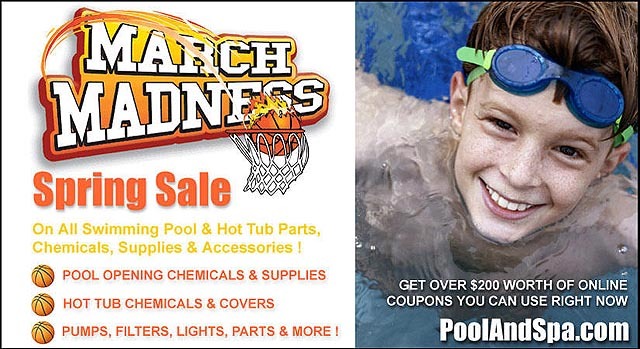 Extensive selection of Pool And Hot Tub parts. 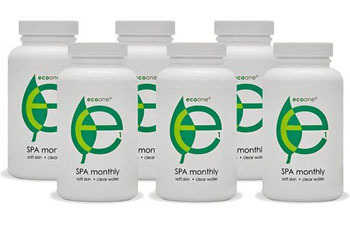 Eco One 6 Month Refill Kit keeps your spa water fresh! Great selection of liners for Above Ground Pools. Don't you hate it when you have a bug? This small tennis-racquet swatter kills bugs instantly on contact. Dress up your pool with the look of tile mosaic at a fraction of the cost. Available in many sizes and shapes. By Hollowell - From $1599. Check out our selection of high quality Above Ground Pools to fit every budget! By Loop Loc - From $694. Most durable and best looking pool cover available! All shapes and sizes. High Quality, Durable Prestige Spa Covers. Available in many sizes and colors. 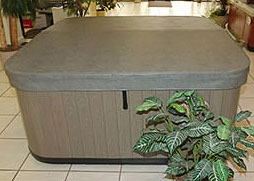 Custom made to fit any hot tub. Keep that hot tub nice and hot with one of our high quality, durable floating thermal spa blankets! 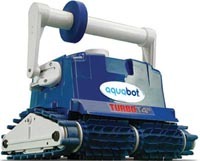 Aquabot is the state-of-the-art, cost effective and performance proven way to clean your pool. 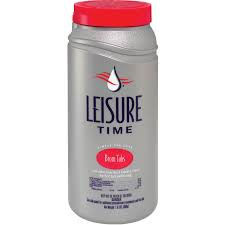 Leisure Time Bromine Tablets - 1.5 lbs. Keep your hot tub crystal clear with Leisure Time Bromine Tabs. Available in 1.5 Lb. and 4 Lb. pails. The reopening process begins the moment the pool is closed. By keeping an eye on the pool over the winter, the reopening process becomes that much easier. Snow or rain can raise the water level or sink the cover. Since heavy debris can fall in, it is better to remove it immediately than waiting till the spring. Reopening the pool entails reversing the instructions for closing it. A pool properly maintained during the winter months can be prepared for a new season of swimming with a minimum of effort. Remove the leaves and debris from the pool cover with a leaf net and/or skimmer net. 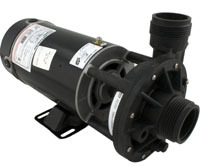 Pump off any excess rain water with a submersible pump. If an above ground pool, the excess water may be siphoned off. 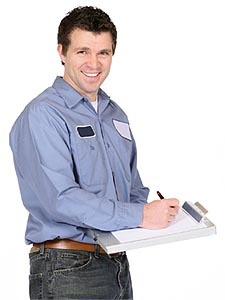 Pump, hose, or sweep away water, dirt, or debris from the cover and deck. Remove the cover and plugs from all openings. If the water was in good shape at the end of last season, proper cover removal will ensure that your pool opens relatively clear. Give us a call and speak to a real swimming pool or hot tub spa specialist! Our new Phone Support Hours for your convenience are 11:00 AM - 5:00 PM CST. PoolAndSpa.com is the world's oldest and largest swimming pool and hot tub website with over 5000 pages of information and supplies. By far the biggest selection of pool and spa related products and information available anywhere in the world. Also, if you are researching the purchase of a pool or hot tub, we have everything you always wanted to know right on our site. 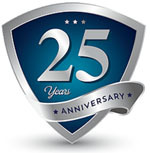 We have been in business since 1980 and have been on the Internet since 1994. *This Week's Deals Details - No charge for shipping or handling on any order over $99 regardless of size or weight. No sales tax charged except to FL delivery addresses. Shipping on orders under $99 is just $9.95. Stock orders shipped out the same day we receive them and the card is charged. Specials apply to contiguous USA delivery addresses only. Please note that product prices and availability are subject to change. Prices and availability were accurate at the time this email was sent, however they may differ from those you see, depending on when you visit our website. Coupon Code SPRING10 applicable on orders over $125.